Regardless your personal belief about the value of employee criminal record checks, one thing cannot be denied: Employers have a responsibility to take reasonable measures to create a safe workplace and workforce. Because of this, many employers (as much as 80% of corporate America) use criminal background checks to help predict how an individual’s past might impact their safety and performance on the job. When it comes to criminal background checks you’ll find federal, nationwide, state, and local records among the available types. The question is: what type of employee criminal check is best for your situation? National criminal database searches offer instant inexpensive data, but do you get what you pay for? Meanwhile, local criminal searches can be time consuming and more expensive — Are they worth the effort? We’ll answer these questions and more as we seek to help you understand the types and uses of employment criminal background checks. With a federal criminal background check, you’ll receive reported information from each of the 93 districts that handle federal criminal, civil, and bankruptcy cases. You will ONLY receive information about federal records, many of which are “white collar” crimes. With a federal search you will not find state or local level criminal information. The best time to use a Federal criminal records search is when hiring for managerial, executive, and financial positions. Since federal records can reveal serious “white collar” crimes that could impact your hiring decisions for these high-trust positions, it pays to check here. At the same time, it’s important to recognize the limitations of a federal search. Since the federal indices contain limited identifying information, employers must use caution before jumping to the conclusion that a particular record is accurately matched to their subject. A reputable background screening firm will send a researcher to the court to resolve these possible matches. As with any employment background check, it’s important for employers to comply with rules and regulations related to the collection, dissemination, and use of criminal information throughout the employee selection process. Search the internet for national criminal records and you may be tempted to call it a day with a cheap, instant database search. With a national criminal database check you can cover a large majority of the more than 3,000 U.S. jurisdictions with a single search. This makes a criminal database highly useful in the employment screening process. The problem is, not all jurisdictions allow access to their data and not every database is well managed to ensure accuracy and timeliness. Because of these constraints, there are very strict limitations on how an employer can and should use national database records. Concerned CRAs, an organization founded in part to promote the appropriate use of national criminal database records, says that while these database searches can be a valuable source of information, they are too often used in an irresponsible manner. Proforma Screening Solutions is a member of Concerned CRAs and we strongly support and encourage the appropriate use of national database records searches within the criminal screening process. We will not ever sell a national criminal check by itself because that is simply not the right thing to do. At the same time, we believe there is a strong case for national records checks in employment screening and feel there is a compelling reason to consider a national database check a must-have in order to fulfill your duty of care as an employer. Frankly, these database searches are so quick and inexpensive; we can’t find a reason to leave them out. As an employer it’s important to understand the appropriate use of national criminal data. In positions where a criminal background check is appropriate and relevant to the job, a national criminal database search can play an important role. But let’s get one thing straight: The single best place to get accurate criminal records information is at the county or local level courts – not through a national database. That said, with more than 3,000 jurisdictions in the U.S. it would be time and cost prohibitive to search every jurisdiction for every employee. This is where the database comes in. A national database search can provide useful “pointers” to guide specific local criminal searches. If we find a red flag in a database search we can follow up at the source to confirm or deny the findings before making an employment-related decision based on the information. Similar to national criminal database searches, state-level criminal records checks should be supplemented and verified by specific local jurisdiction searches as determined by activity uncovered in the statewide search. While statewide searches are useful in some situations, they can present serious limitations in others. A statewide criminal records search often does not reflect the current status of the local jurisdiction records. Also, while jurisdictions are mandated to report to the statewide repository, in reality there is very little mechanism to make sure that every jurisdiction reports properly. So you cannot be certain of the coverage. Finally, and importantly, statewide data very often lacks disposition information so while you may find out about an arrest, the outcomes may not be found. If you knowingly rely on a statewide search as the end-all-be-all source of criminal records you will be standing on weak legal ground. As with national records searches, a statewide search should be used to guide local level searches. It can be very useful as a pointer, but not as an authoritative source. Local criminal background checks can be your best source of criminal information about job candidates and employees. Of course, like anything else, there are steps that must be taken to ensure quality, compliance, and accuracy. If you’re working with a third party background screening company, find out if the company employs local-level researchers who understand the court structure for the state in which your local level search will take place and the authoritative source for each court. And find out about the quality control procedures they place on their research team. Keep in mind, federal crimes are not found in local criminal records. So, even if your applicant has a clean criminal record at the local level, there may still be a serious criminal history on a federal records search. There is good reason why a comprehensive look at an applicant’s past can only be achieved by searching multiple sources. 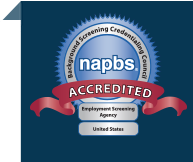 Do you have questions about your employment background screening program?